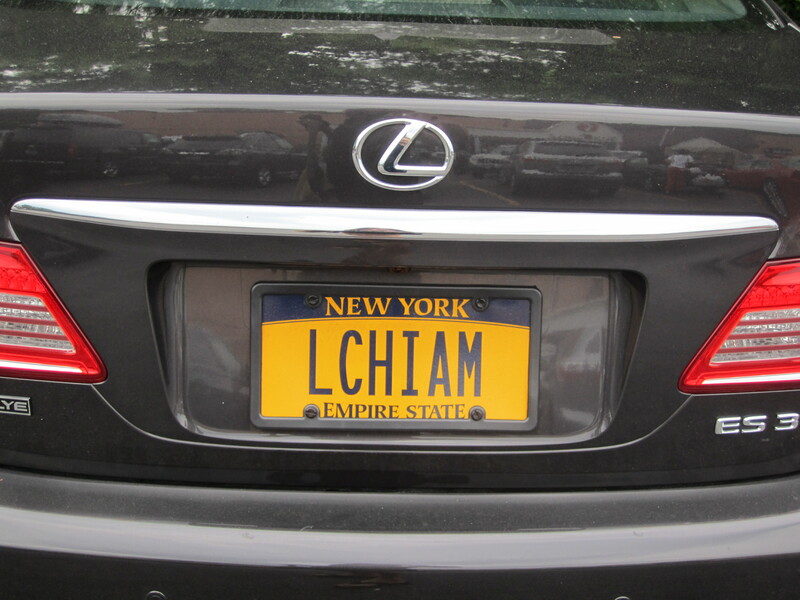 For those not of the tribe, L’chiam means ‘to life’. A lovely phrase that I guess I never really thought all that much about. It always felt like one of those boilerplate things you would say when making a toast. Or the lyrics to a song from Fiddler on the Roof. When I saw this car in a parking lot I got to thinking what a nice philosophy it is. To Life. A grateful sort of appreciate every moment thing. I also thought it would be pretty rough driving this car in the deep south. The second thought was my Woody Allen complex kicking in. I hardly hear it in these parts, but our Catholic priest robustly raised his arm at the end of his wedding sermon to us and shouted it. It was great! I believe the relatives took it as a sign to get this party going.